A ground-breaking new high-tech patient safety system to catch falsified medicines in the supply chain in Europe went into effect today, allowing prescription medicines to undergo verification for authenticity before reaching patients. 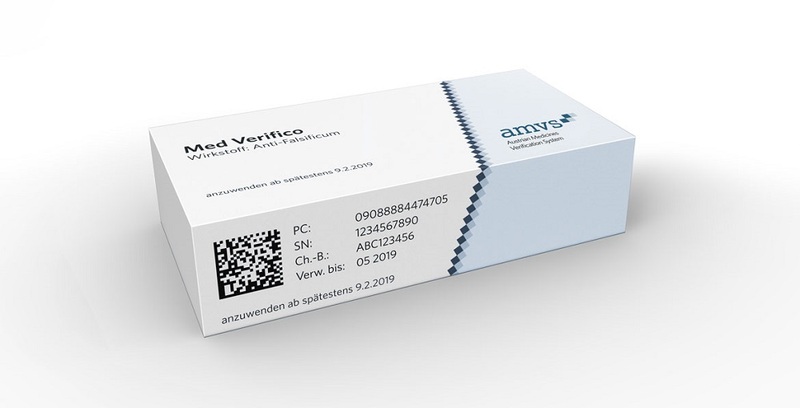 The European Medicines Verification System (EMVS) is a “world first,” according to a press release today from the agency overseeing its implementation. “The new system is a world-first for its stakeholder model, its scale, its use of new technologies and represents an unprecedented step towards preventing falsified medicines from entering the legal supply chain,” said the European Medicines Verification Organization (EMVO). Starting today, prescription medicines packages will have a unique identifier embedded in a “two-dimensional data matrix”) serialised by pharmaceutical manufacturers and parallel importers. The packaging will also be sealed with a tamper verification feature. The unique identifiers will be uploaded to by the manufacturer to the EMVS, which is known as the European Hub. With dedicated software, wholesalers and others in the supply chain will scan the data matrix on the package to verify its authenticity along the way. Packages will be scanned at point of purchase. Data will be passed through a secure connection. “The EMVS has a unique structure that really makes it one of a kind,” Pullen said in the release. “It will connect around 2,000 pharmaceutical companies, around 6,000 wholesale distribution authorisation holders, 140,000 pharmacies, 5,000 hospital pharmacies and around 2000 dispensing doctors in 28 EEA countries” (noting that Italy and Greece will have longer transition times). Setting up and activating the EMVS has cost approximately €100 million to date, Pullen told Health Policy Watch. Management of the system across Europe and including all actors in the supply chain, is expected to cost som €100-€150 million per year. He also said the European-created system could be a model for other regions of the world. The amount of “counterfeit” medicines in the European legal supply chain is estimated to be approximately .005 percent, according to a European Commission study cited in the EMVO release. Elaine Fletcher contributed to this report.